Oklahoma’s Republican governor recently signed a bill that stops local lawmakers from banning hydraulic fracturing or other oil and gas drilling operations. Governor Mary Fallin said the legislation affirms the three-person Oklahoma Corporation Commission as the primary regulator of oil and gas drilling, adding the agency allows for “reasonable” restrictions regarding setback, noise, traffic issues and fencing. She said the bill was needed to prevent a patchwork of municipal regulations across the state. The Associated Press reported that the oil and gas industry pushed for the bill over the objections of municipalities and environmental groups in the state. The bill was opposed by the Oklahoma Municipal League, which argued cities were in the best position to oversee oil and gas drilling for their residents. The League said the bill was a reaction to last year’s vote in Denton, Texas, to stop hydraulic fracturing. Last month, the governor of Texas was the first state to sign a law overriding municipality bans. 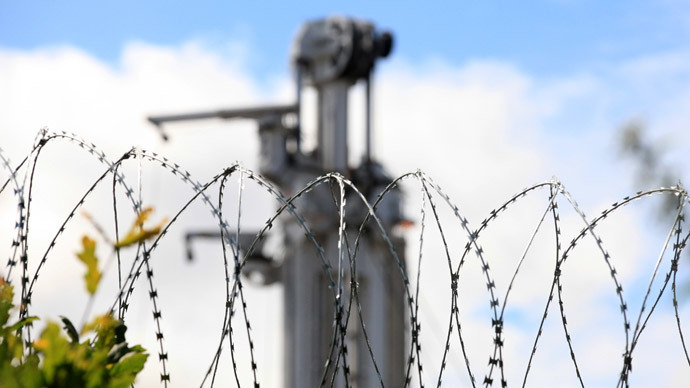 “Despite there being no attempts by any cities in Oklahoma to ban fracking, the action by the legislature ensures that this will not happen,” the league said in a legislative update, according to the Oklahoman. The bill’s signing came as officials in Stillwater were working to update the city’s oil and gas drilling codes, with the City Council expected to review a revised version of the ordinances at its June 15 meeting. The new Stillwater ordinances had proposed that new wells have setbacks from houses, churches, parks, libraries and hospitals of 660 feet, that noise be limited to 69 decibels, and that new structures not be built within 400 feet of an existing well. The Oklahoma Independent Petroleum Association called Stillwater’s proposal unworkable. President of the Oklahoma Oil and Gas Association, Chad Warmington, said the state legislature’s bill was the most important energy bill passed so far this year. The bill comes as Oklahoma deals with sharp increases in small earthquakes that state seismologists have recently linked to drilling operations. The last five years have seen Oklahoma experience more than 2,500 earthquakes – the vast majority of which are being connected to fracking. According to Scientific American, Oklahoma has seen more than 230 earthquakes registering magnitudes of 3.0 or higher in this year alone. Before 2008, the state only averaged one of these earthquakes a year.